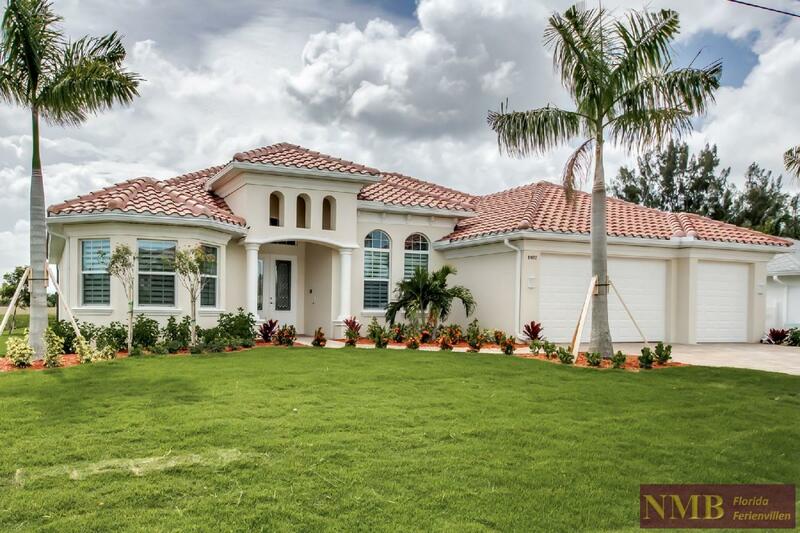 Luxury villa Horizon (new construction) in the Southwest of Cape Coral - 3200 sqft of living area, 4 bedrooms, 4.5 bathrooms, 3-car garage, huge negative edge pool with spa,entertainment area, Dolby surround system, outdoor kitchen, boat dock with boatlift, Gulf access, leave nothing to be desired. Luxury Villa Silversands - custom built dream home with smart home technology & all the top of the line amenities & extras you would expect. Short boat ride to the Gulf of Mexico. 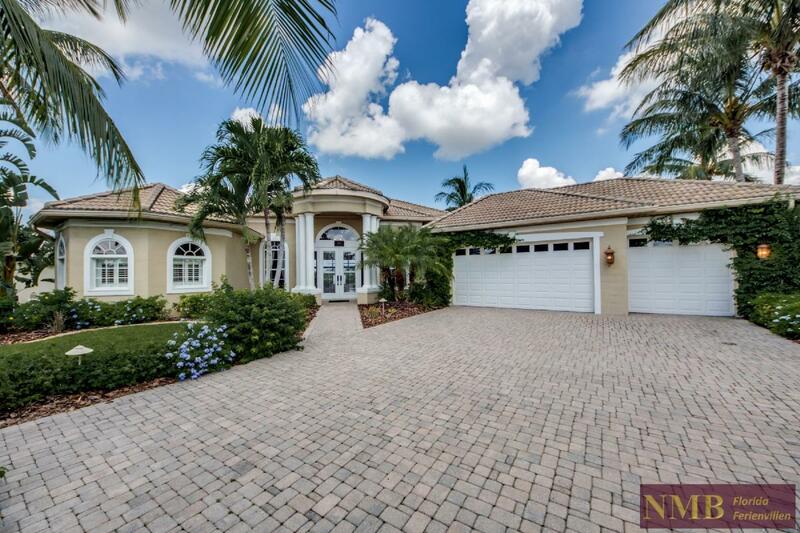 Exclusive Villa (built in 2015) in southwest of Cape Coral with southern exposure in prime location on an intersection canal. 4 bedrooms, 3 bathrooms, heated pool with Jacuzzi, boat dock with boat lift (very short boat ride to the Gulf of Mexico). The Cape Harbour Marina with restaurants and shops is just a stone’s throw away. 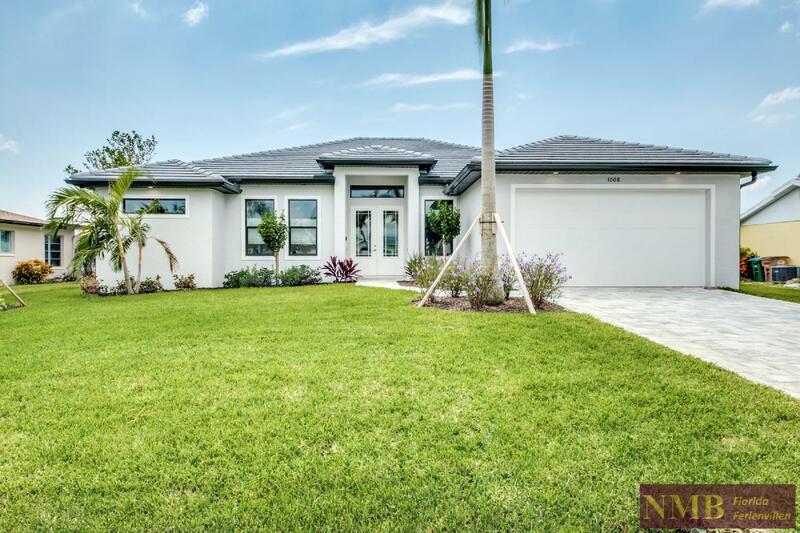 The 2-story villa "Rosegarden Estate” features 4 bedrooms and is nestled in a stunning location on an intersection canal in the upscale residential area "Rosegarden" in Southwest Cape Coral. The Tarpon Point Marina with excellent restaurants and shops is within walking distance (only a few minutes) – short boat trip to the Gulf of Mexico. 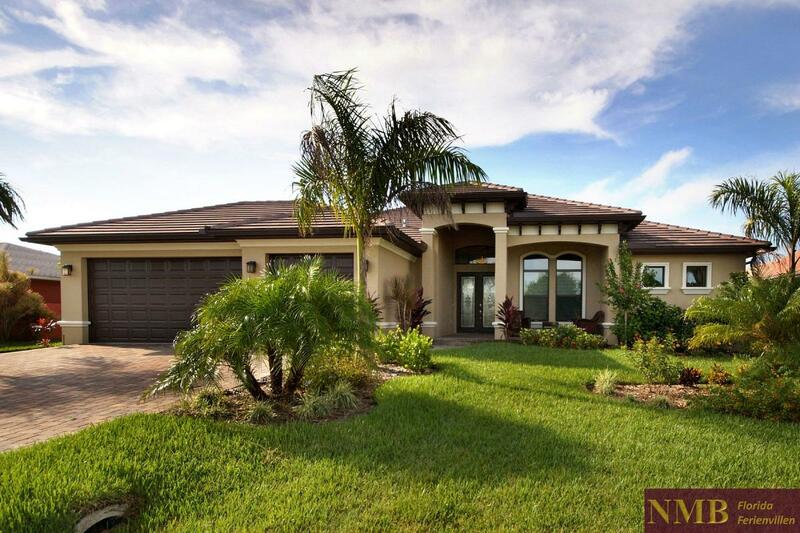 The high quality and modern villa "River Pearl" is located in a top location directly on the Caloosahatchee River - direct boat access to the Gulf of Mexico. A special treat for the sophisticated and design loving vacationer. 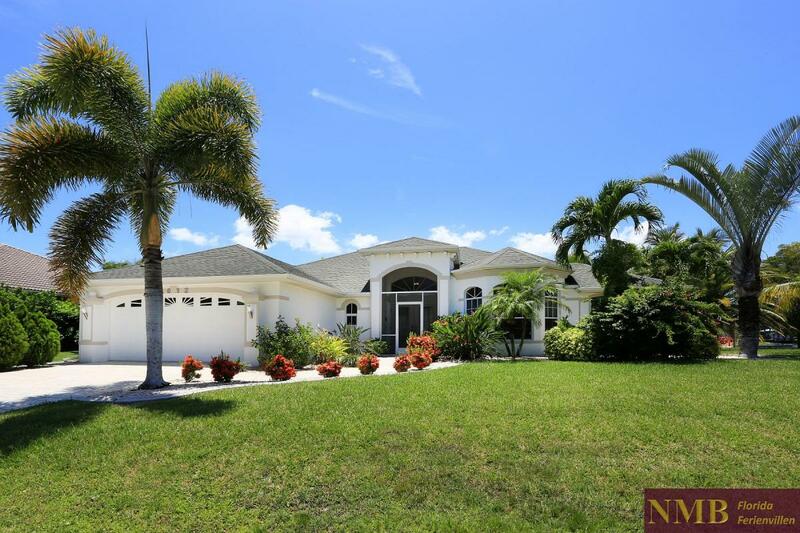 This spacious vacation villa with pool and spa is situated on a wide intersecting canal in one of the most beautiful areas of SW Cape Coral - 4 bedrooms, 2,5 bathrooms, loft, 3 car garages, 22 ft high ceilings in the living area, boat access to the Gulf of Mexico. 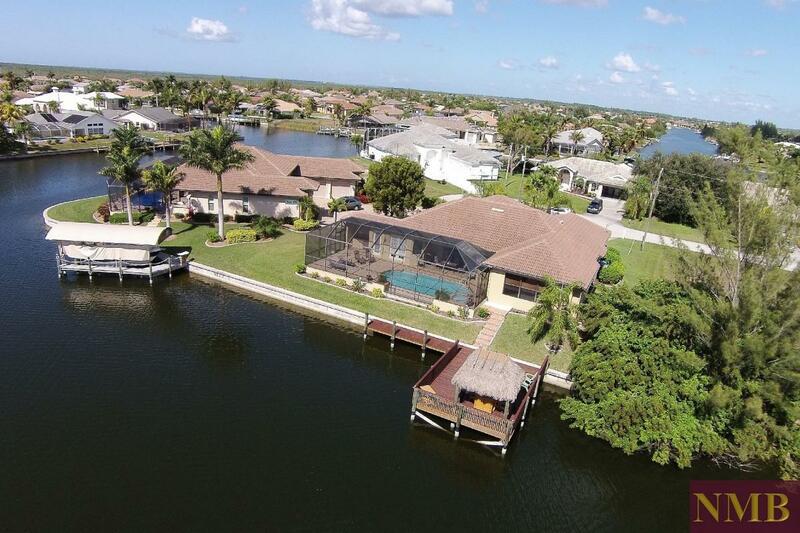 Modern Home - on a 170' wide canal in the much desired SW Cape Coral area with beautiful homes all around. Oversized lot. Western exposure. 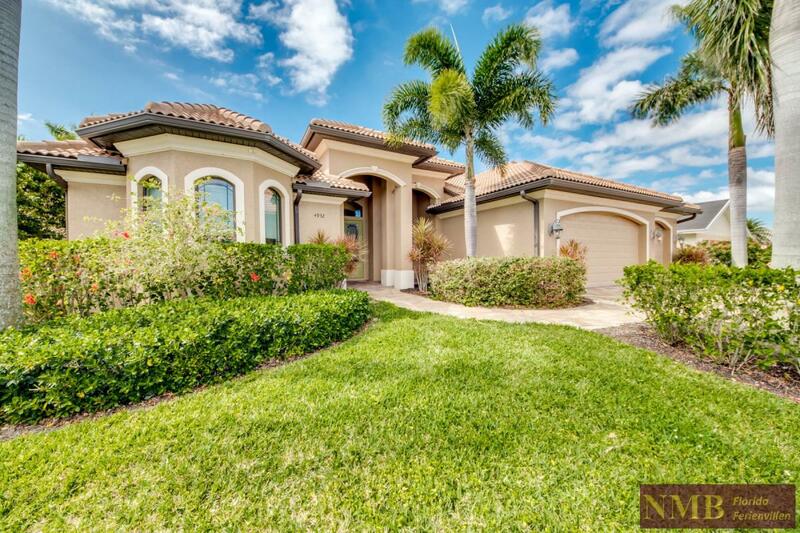 Exclusive vacation home in Southwest Cape Coral with heated negative edge pool, spa, spacious covered lanai with outdoor kitchen, southern exposure and boat access to the Gulf of Mexico. This stunning contemporary luxury home was finished in 2017 and features direct sailboat access – only minutes to the river. Enjoy beautiful sunsets from the lanai, boat dock and patio down by the dock. 2500 sqft offer plenty of space for your family and friends! You and your company will love the fresh and modern look of this home featuring 12 ft ceilings throughout and 10ft sliders. For your safety this home is constructed hurricane impact and offers kevlar roll downs for privacy and sun/weather protection. 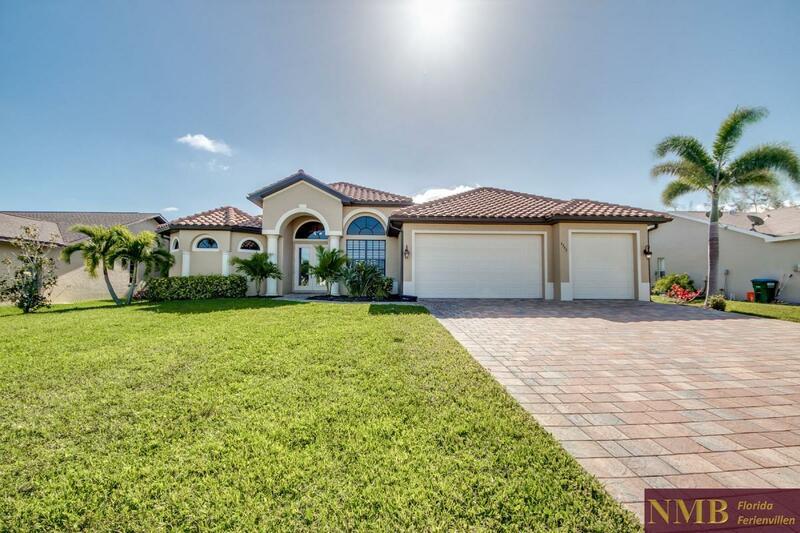 Villa "Royal Residence" impresses with its high-quality interior and is located near Cape Harbor Marina - one of the best locations in Cape Coral. 4 bedrooms and 3 bathrooms offer enough space for family and friends. The Western exposure guarantees unforgettable sunsets. 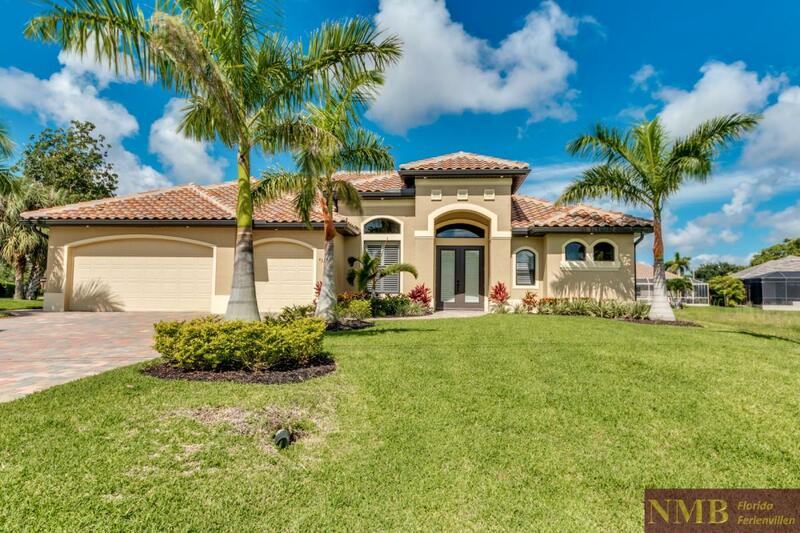 Stunning villa "Royal Palace" is located on a wide canal with Gulf Access in Southwest Cape Coral and offers 4 bedrooms, 3 bathrooms, a spacious pool area and spa (heated). 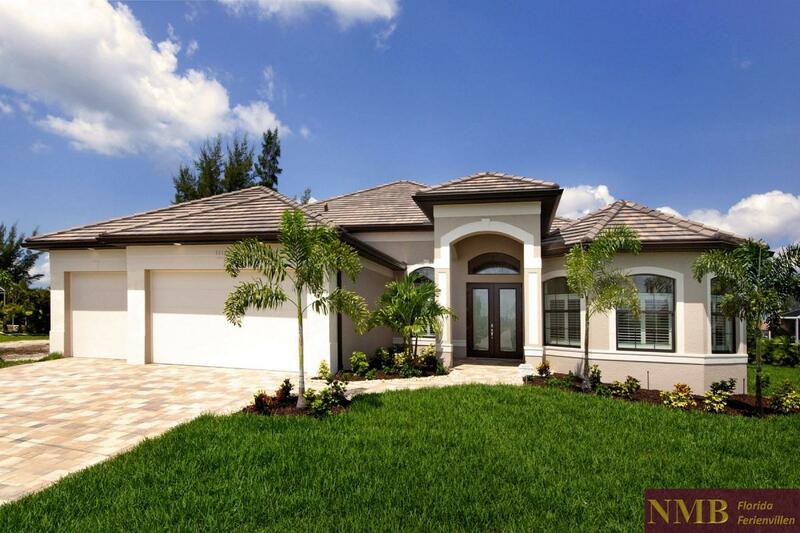 The model was the winner of the 2014 Builders Showcase of CCCIA ( Cape Coral Construction Industry Association ) as the best house model - enjoy your holiday in Florida in this top vacation home. Coming soon - Modern design vacation home "Mayflower" (built in 2016) is located in the popular Southwest area of Cape Coral and features 3 bedrooms, 2 bathrooms, tile floors in the bathrooms and the living area, granite counter tops in bathrooms and kitchen, electrically heated pool and spa, west exposure, 3-car-garage, spacious lanai and pool area with summer kitchen. Easy access to shopping malls. 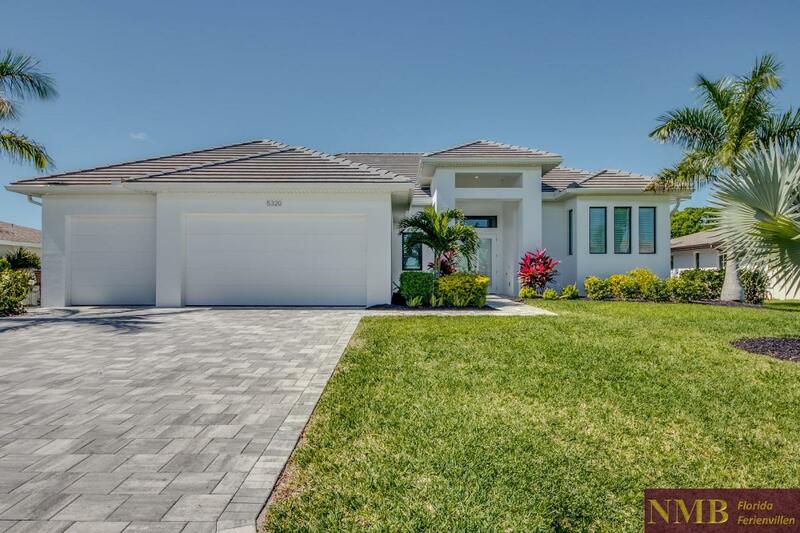 The modern vacation home Francis (built in 2017) is located on a canal with boat access to the Gulf of Mexico in the popular southwest of Cape Coral. 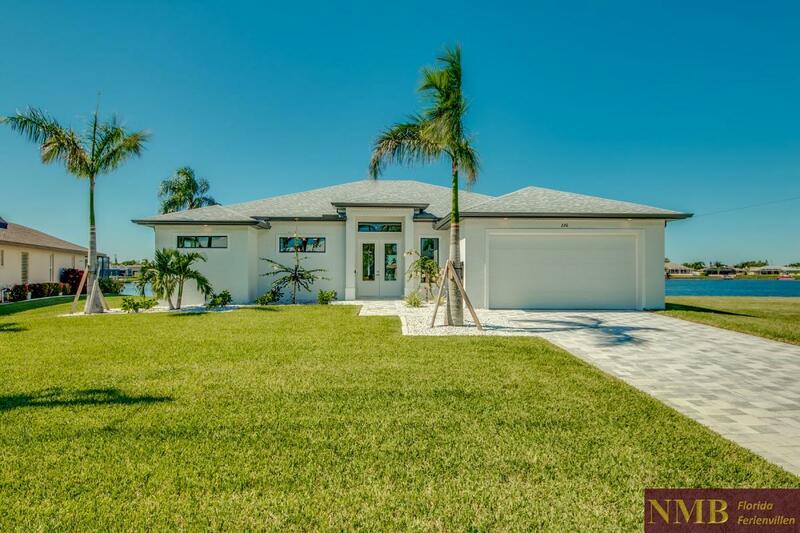 Brandnew Vacation Home "Just Heaven" (built in 2018) in most sought-after location Southwest of Cape Coral - only a few minutes to Cape Harbour Marina. 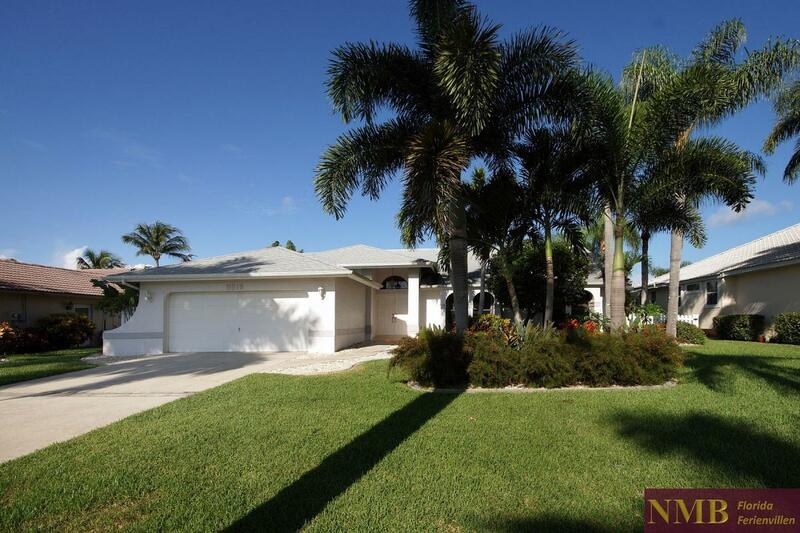 The Silhouette vacation home (Gulf access home) is located in a quiet and central location in Cape Coral. The large pool overlooks the water and the well-kept garden. Villa Skyshine - BRAND NEW, SOUTHERN EXPOSURE, GULF ACCESS POOL and SPA home. Transitional styling with a flat tile roof, paver driveway and beautiful landscaping gives this home great curb appeal. 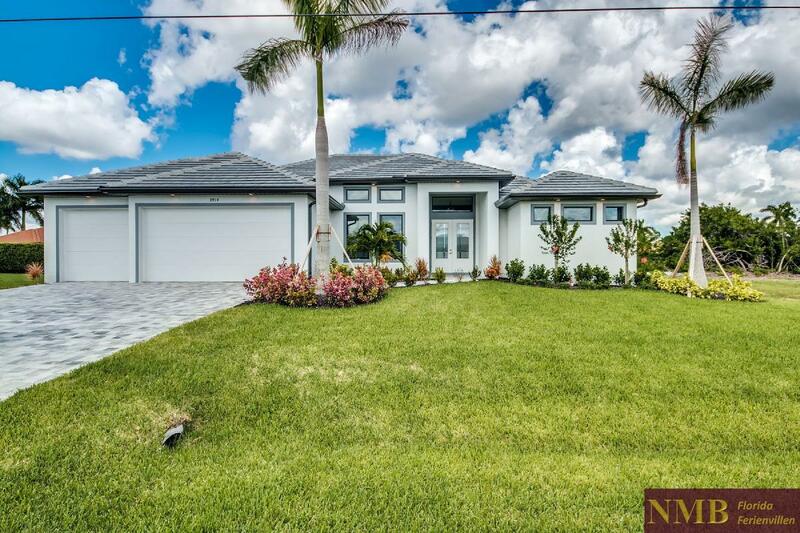 The elegant and stylish furnished villa "Felicity" (new construction built in 2015) is located in the southeast of Cape Coral (Bimini Basin area near Cape Coral Yacht Club) - one of the best locations. Villa „Sunny Island“ is located in TOP-location Rosegarden area – walking distance to Cape Harbour Marina with restaurants and shops. Only a short boat ride to the Gulf of Mexico. 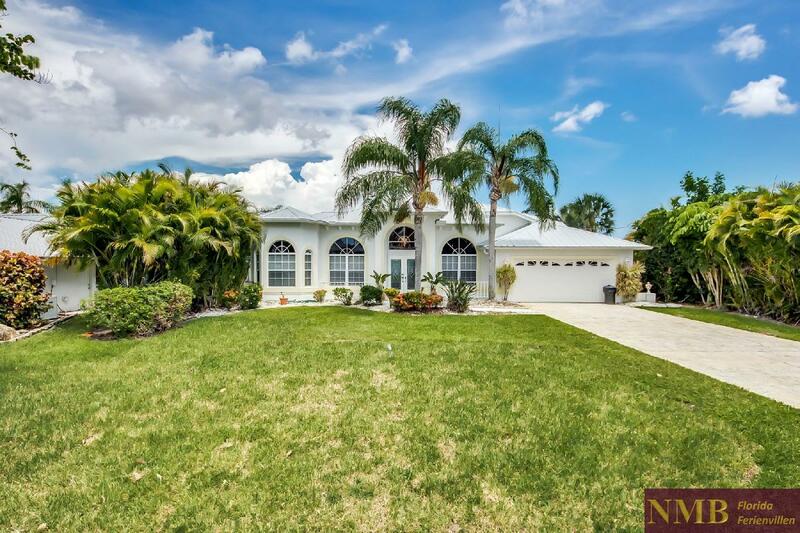 Great vacation villa in Cape Coral (southern exposure) on canal with boat access to the Gulf of Mexico, 3 bedrooms, 3 baths, boat dock with boat lift, pool and spa, outdoor kitchen, additional covered lounge area with open fireplace. 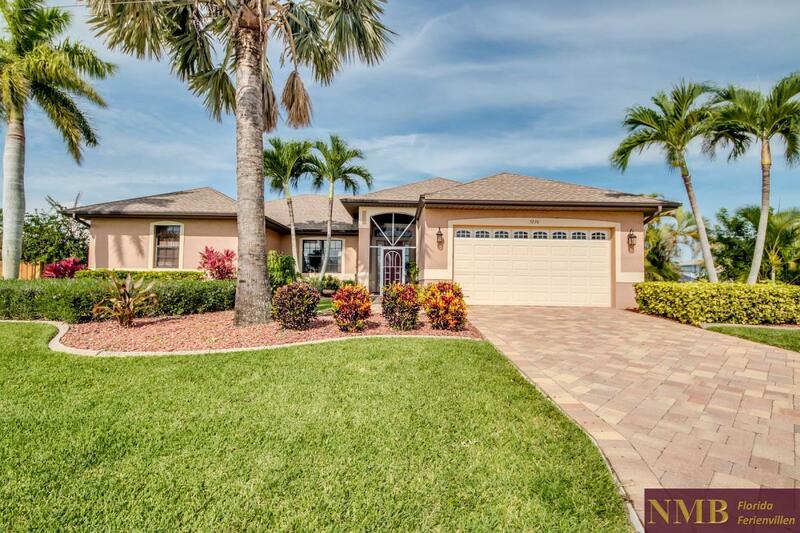 This elegant vacation home is nestled in Southwest Cape Coral, close to the Estates of Cape Harbor Marina community with spectacular water views and direct boat access to the Gulf of Mexico. Enjoy the spacious living area, 3 bedrooms, 2 baths, a pool bath and a separate office for a dream vacation with your family or friends. 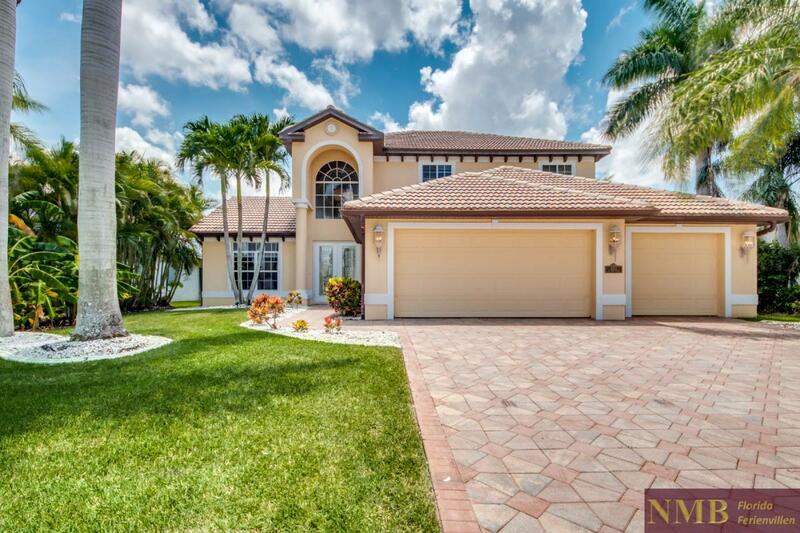 Luxurious vacation home in Southwest of Cape Coral in preferred residential area on a large plot with south orientation and boat access to the Gulf of Mexico. 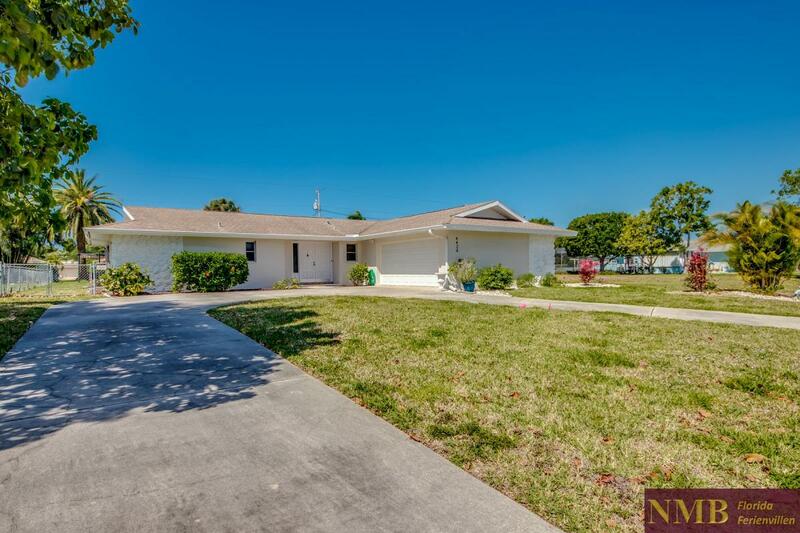 Cozy vacation home in Southwest of Cape Coral with boat access to the Gulf of Mexico, 3 bedrooms and 2 bathrooms, heated pool and lanai (western exposure). The beautiful getaway "Sunlight" with boat access to the Gulf of Mexico in Southwest of Cape Coral is located next to nature reserve. 4 bedrooms and 3 bathrooms on more than 2,600 sqft living space offer enough space for a relaxing family vacation in Florida’s Water Wonderland. 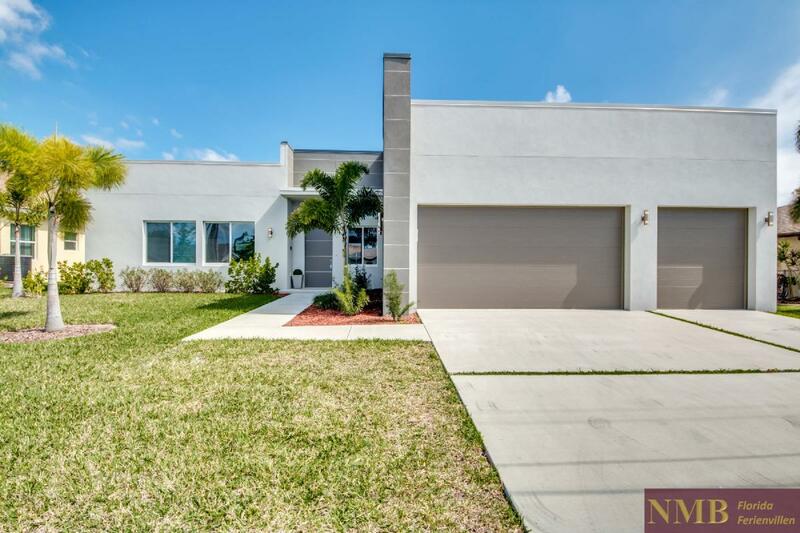 This modern holiday home "Westwood" (New 2016) located in the popular southwest of Cape Coral. This Villa offers 3 bedrooms, 3 bathrooms, high quality tile and wood floors in the bathrooms and main living areas, granite counter tops in bathrooms and kitchen, electrically heated pool and spa, western exposure, 3x garage, spacious terrace and pool area with small outdoor kitchen. 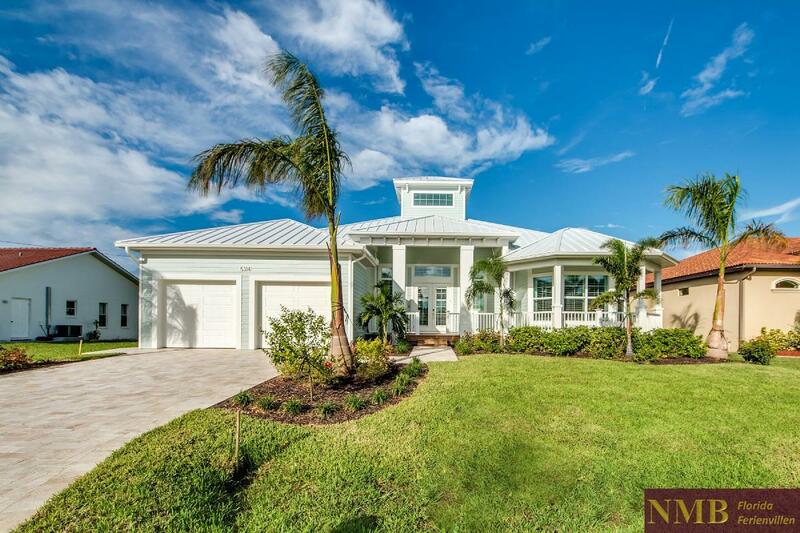 This contemporary vacation home "Clifton Bay" (New 2017) is located in the popular southwest of Cape Coral. This Villa offers 3 bedrooms, 3 bathrooms, high quality tile throughout, granite counter tops in bathrooms and kitchen, electrically heated pool and spa, western exposure, 2x garage, spacious terrace and pool area, boat dock and boat lift. Spacious vacation home, south facing with 4 bedrooms, 2 bathrooms and boat access to the Gulf of Mexico in Southwest of Cape Coral. The house is equipped with everything you need for a comfortable Florida vacation. Make yourself at home. 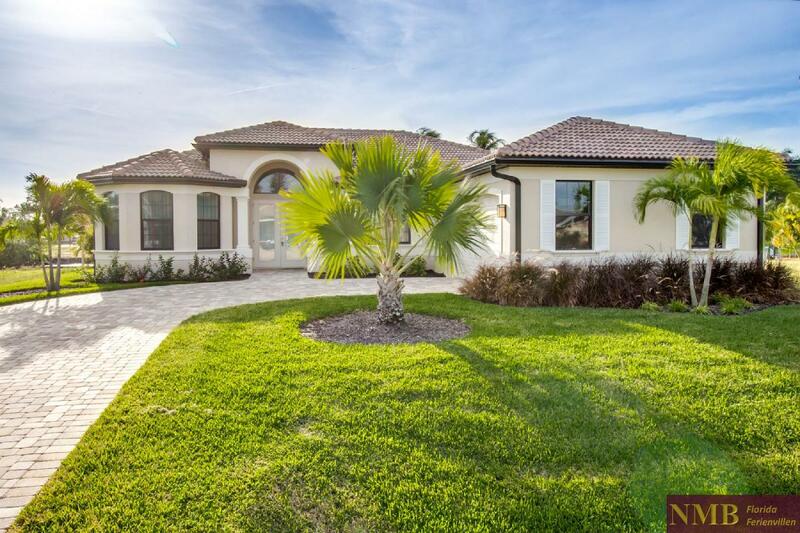 The luxurious vacation Villa “Sweet Mailin” is situated on a 10,000 sqft lot with southern exposure in Southwest of Cape Coral, Florida. 3 bedrooms, 2 bathrooms and a large, heated pool with a spacious lanai leave nothing to be desired. 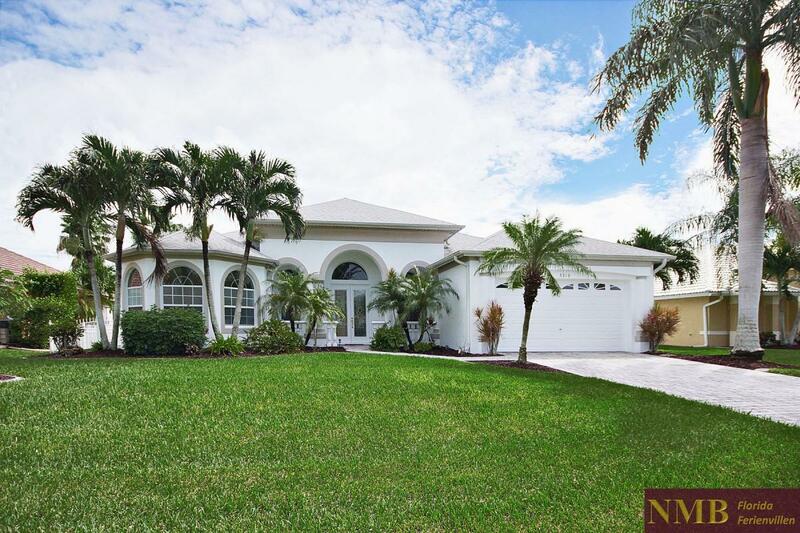 Superbly equipped villa with southern exposure in the preferred Southwest area of Cape Coral close to the nature reserve. The villa features a generous living space with 3 bedrooms, 2 bathrooms, 1 pool bath and a summer kitchen. Enjoy unforgettable days in your Florida villa with heated infinity pool, spa and a private boat jetty. 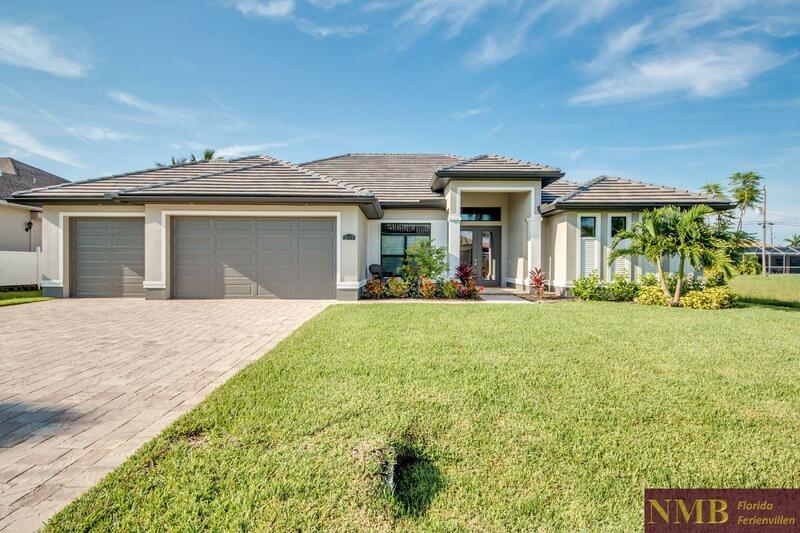 This dream home in a fantastic location with breath taking lake view is nestled at the Eight Lakes in Southwest of Cape Coral. The view from the lanai on the large boat dock with outdoor seating overlooking the Thunderbird Lake make your Florida stay a memorable one. The elegant villa " Butterfly " with boat access to the Gulf of Mexico and a private boat dock opens up a fantastic view of intersection canals with a width of 150 feet. The villa has 3 bedrooms, 2 bathrooms, 1 pool bath and outdoor shower on the pool deck. This spacious 4 bedroom villa with southern exposure, lovely landscaping garden with palm trees and mango trees is in walking distance to the Cape Harbour Marina. Located in southwest of Cape Coral on an oversized lot on Mars Canal you are overlooking the skyline of Cape Harbour Marina. Shopping for daily needs and restaurants are only a 1-minute drive away. 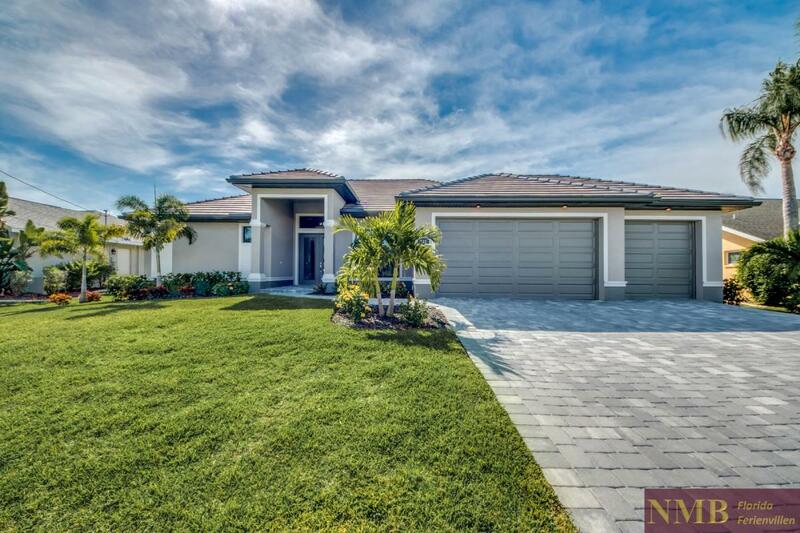 Modern design vacation home "Lancaster" (built in 2015) is located in the popular Southwest area of Cape Coral and features 3 bedrooms, 2 bathrooms, marble floors in the bathrooms and the living area, granite counter tops in bathrooms and kitchen, electrically heated pool and spa, west exposure, 3-car-garage , spacious lanai and pool area with summer kitchen. Easy access to shopping malls and the Gulf of Mexico. Located in the southeast of Cape Coral villa "Halifax" offers a very short boat trip to the Gulf of Mexico especially for boaters. The spacious living area with 4 bedrooms, 2 bathrooms and 1 pool bath can accommodate up to 8 people. 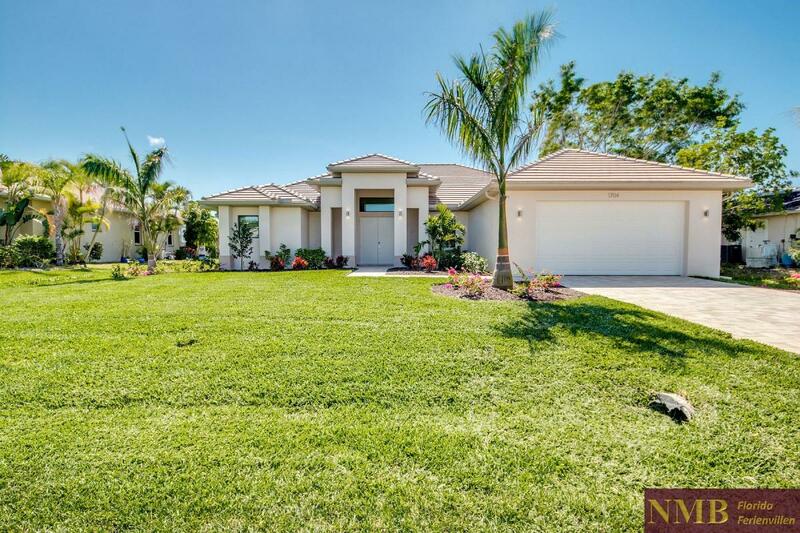 Wonderful vacation home (built in 2012) located in southwest of Cape Coral with 3 bedrooms, 2 bathrooms and modern European furnishing. Start from our own private boat dock to the islands of Sanibel and Captiva Island at the city’s doorstep. Very well equipped vacation home in sought-after Southwest of Cape Coral with boat access to the Gulf of Mexico, heated pool with spa. Just a stone's throw from Cape Harbour Marina. For a rental boat you can use the boat lift and boat dock. You want to spend your holidays right on the water and to have only a short ride to the river? Then the House " Stirling " in top location Rosegarden is the perfect vacation home for you. You can reach the open water with your boat within minutes (no bridges, no locks). 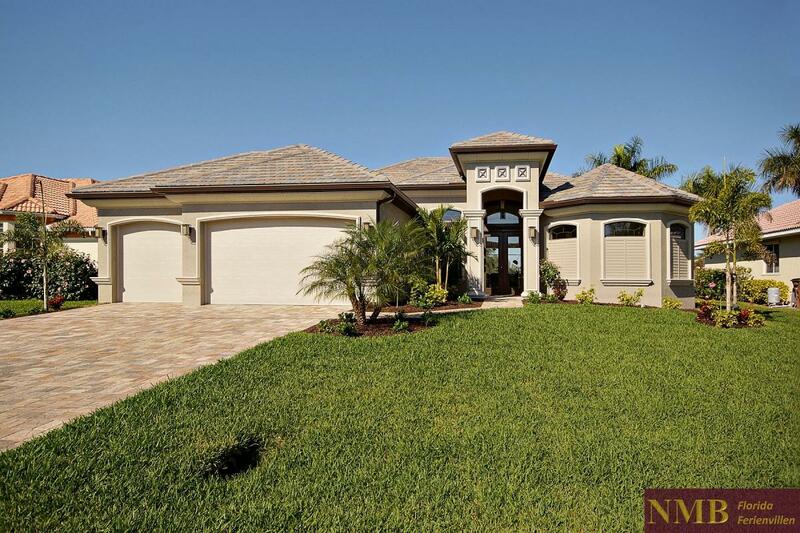 Welcome to Villa Eight Lakes located on the Eight Lakes of Cape Coral. The lakes are connected by a short canal to the Gulf of Mexico. Enjoy the breathtaking lake view. The cozy vacation home "Stingray" with boat access to the Gulf of Mexico is located in a quiet street on a canal in Southeast Cape Coral. Short distance to the shopping centers and shops on Del Prado Boulevard and the beaches of Fort Myers Beach and Sanibel Island keep boredom at bay. The cozy vacation home Villa Sinatra offers a very quick access to the Gulf of Mexico and a beautiful landscaping. 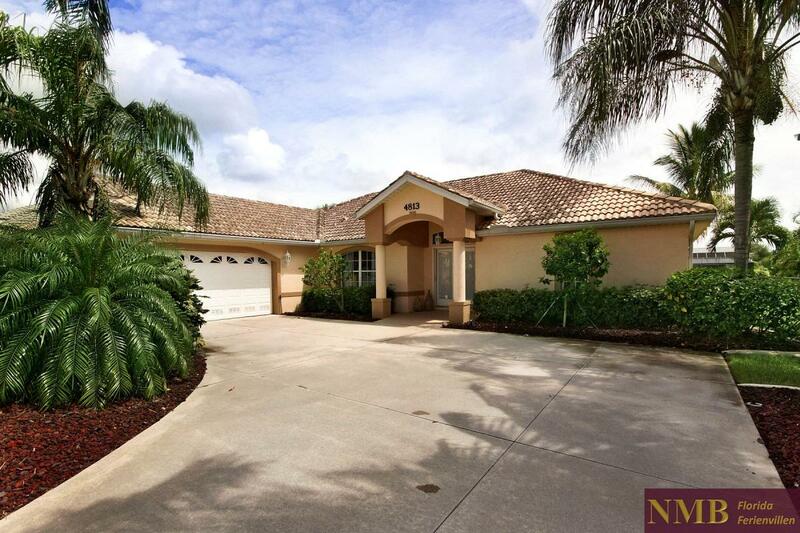 Located in the popular and original area of Cape Coral, south of the Parkway, it is only moments away from everything and features a pool area with heated Spa and a spacious wooden boat dock with a 10,000 lb boat lift. Start from your own boat dock to the islands of Sanibel and Captiva. 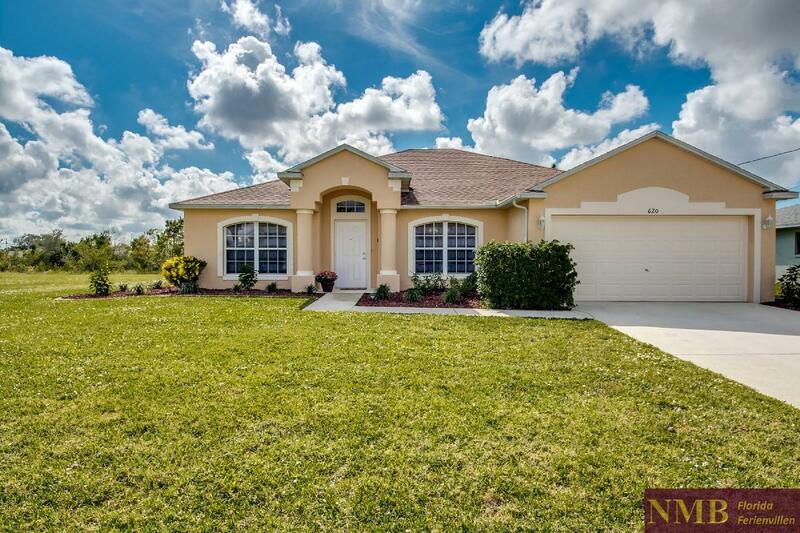 Brand new pool home in desirable location SW Cape Coral (3 bedroom, 3 bath). 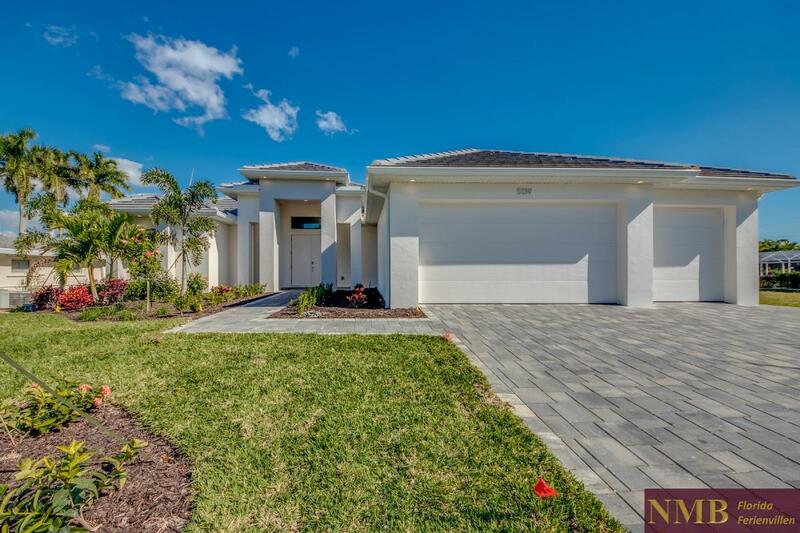 The modern vacation home "Villa Sun Breeze" (built in 2018) is located in the centre of Cape Coral directly at Schamrock Lake, in southwest exposure with wonderful views over the lake and fantastic sunsets. The Historic District in Downtown Fort Myers with many shops and restaurants is only 10 minutes away by car. The vacation home Cape Supreme (new building 2018) is located in the popular southwest of Cape Coral. Enjoy breathtaking sunsets on the sun-drenched western terrace with large pool and spa with sunledge. 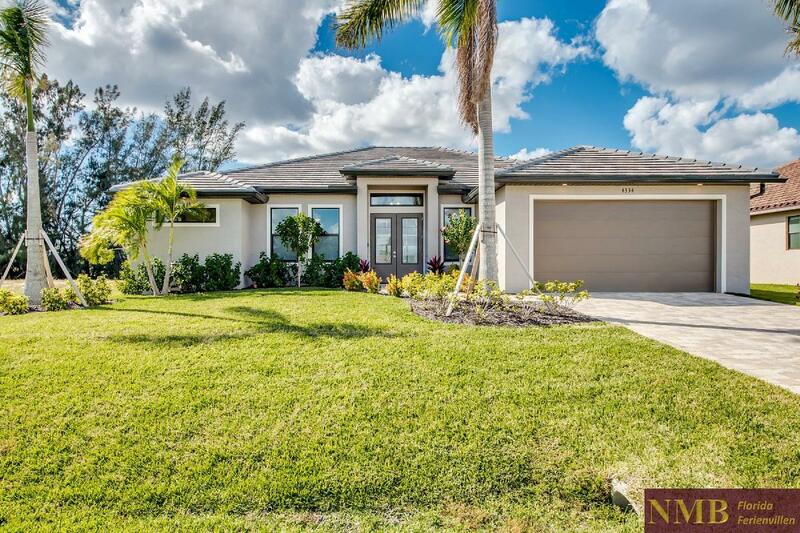 Pool home (built in 2018) in well established and highly desirable neighborhood South of Cape Coral Parkway. This home combines modern design and style without sacrificing traditional values. The vacation home "Sandy Beach" is located in a prime location in Cape Coral and provides a very short boat trip to the Gulf of Mexico (only minutes). 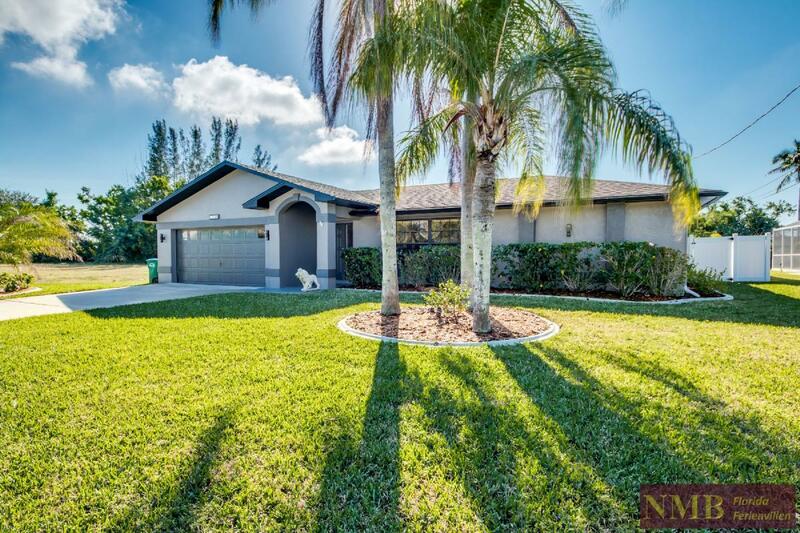 Comfortable and modern furnished elderly Florida home in a perfect location for boaters. 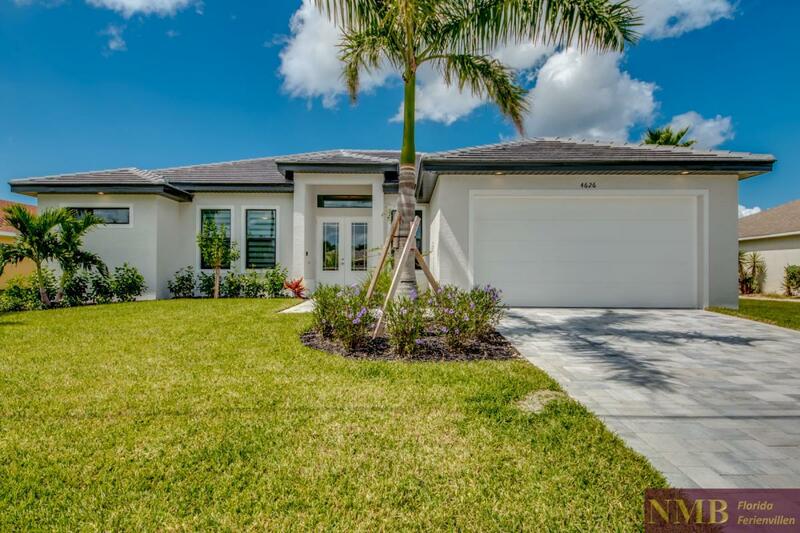 Brand new pool home (southern exposure) in well established and highly desirable neighborhood South of Cape Coral Parkway. This home combines modern design and style without sacrificing traditional values. 3 bedrooms + den, 2 baths, plenty of closet space and shelving, wood cabinetry, quartz counter tops, 8' doors and sliders, impact windows, nicely appointed plumbing fixtures, lights & fans, door hardware, paver driveway, walkway, pool deck & lanai. Very nice, electric heated 14' * 28' pool and Spa and outdoor shower on the spacious pool deck. 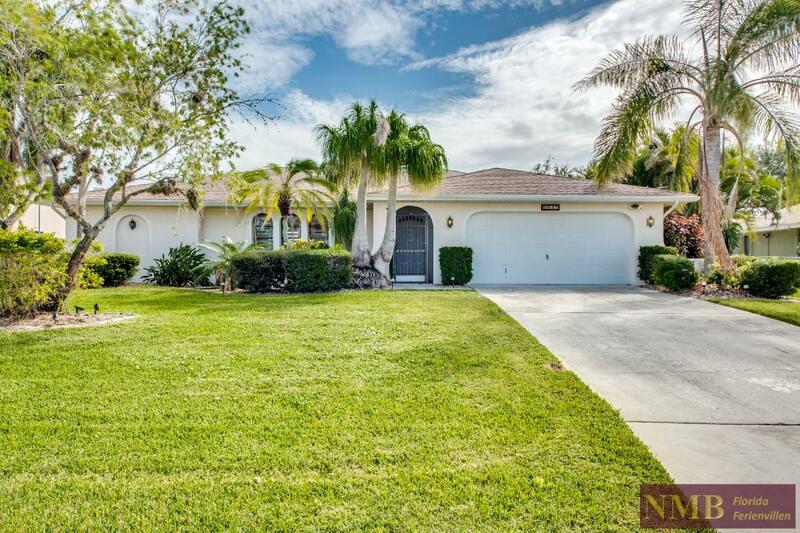 Family friendly vacation home located in the best location in Southwest Cape Coral. 2,000 sqft of living area feature 3 bedrooms, 2 bathrooms and a heated pool - for up to 6 people. 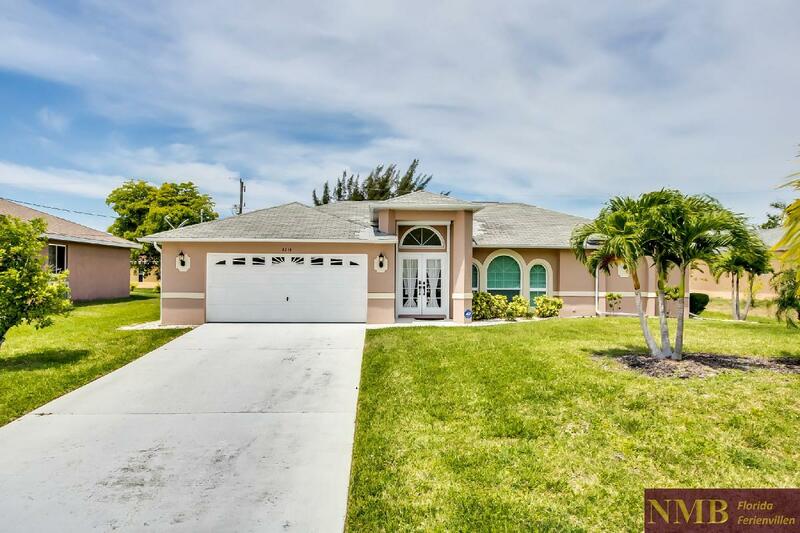 Charming vacation home in Cape Coral with internal patio, heated pool, spa, 4 bright bedrooms, and 3 bathrooms, open living and dining area. Huge lanai with 2 comfortable lounge areas and boat dock, boat lift. This cozy, 2-story cottage "Sunbeam" is located on a freshwater canal in Southwest of Cape Coral and offers on two levels 3 bedrooms and 2 bathrooms. The pool with southern exposure has an electric heat pump and the latest water treatment technology. 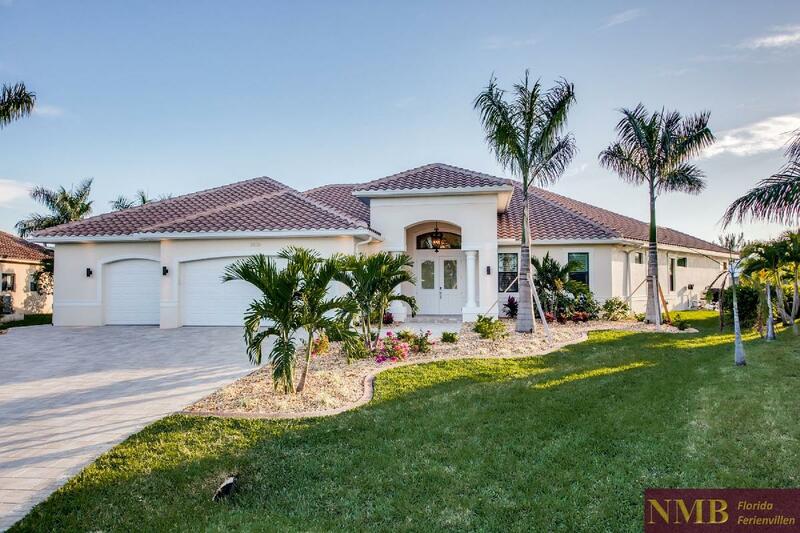 Family friendly vacation home "Sunset" located in Southwest of Cape Coral. 1,683 sqft of living area feature 3 bedrooms, 2 bathrooms and a heated pool - for up to 6 people. 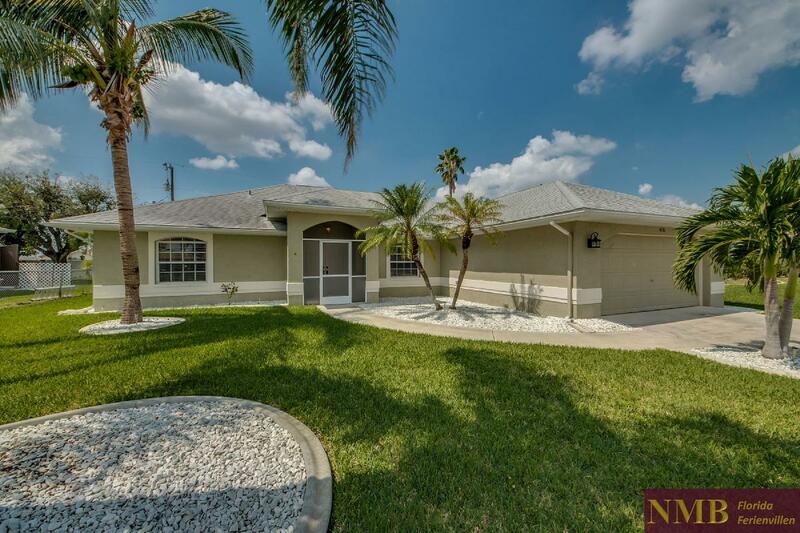 This charming SE Cape Coral pool home will win you over the moment you enter. 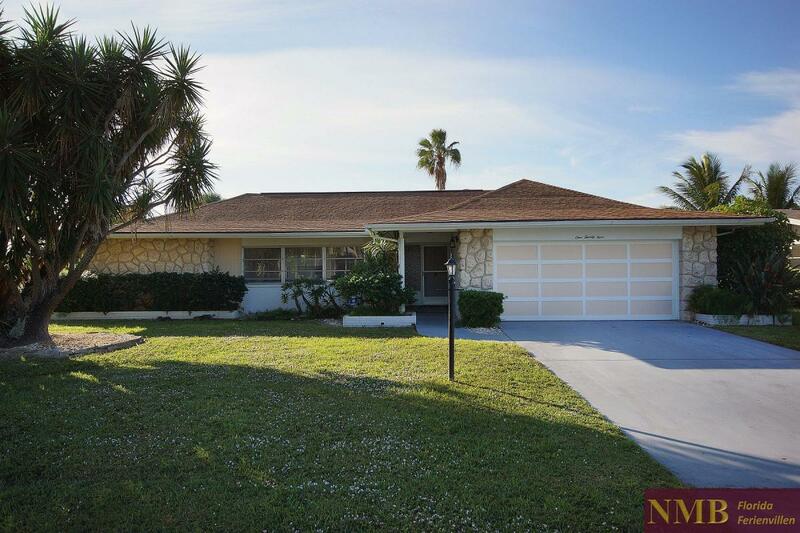 This is a cozy 3 Bedroom, 2 Bath, 2 Car Garage, POOL HOME in the highly desireable area of SW CAPE CORAL. This light and bright home features a large master bathroom with jacuzzi tub, glass shower, and dual seperated sink & vanity. Upon entering the home into the large,open living room with vaulted cielings you over look the covered lania and beautiful pool and have easy access through triple sliding glass pocket doors. Sun, palm trees, beaches and the sea - these are the ingredients that make up a dream vacation. All of this can be found in the vacation paradise in Cape Coral, Florida. 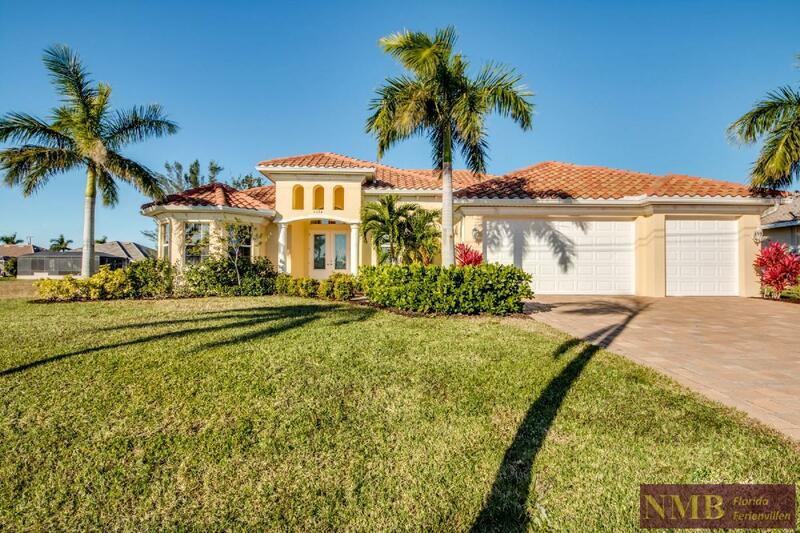 With a luxurious villa with a pool, or an exclusive vacation home in Cape Coral your dream vacation becomes a true. The sun in South Florida is shining on an average of 355 days a year - ideal to spend the winter months in a luxurious villa with private pool and boat dock. 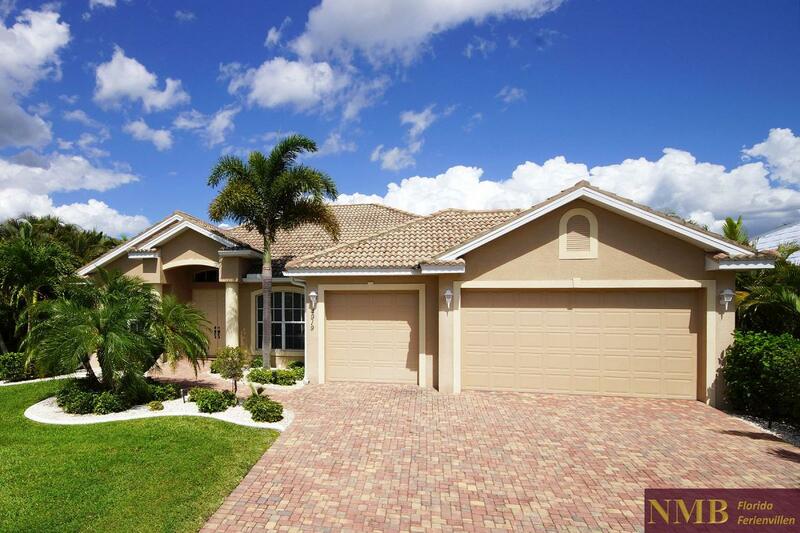 Rent your own paradise in Cape Coral and let your dream vacation begin. 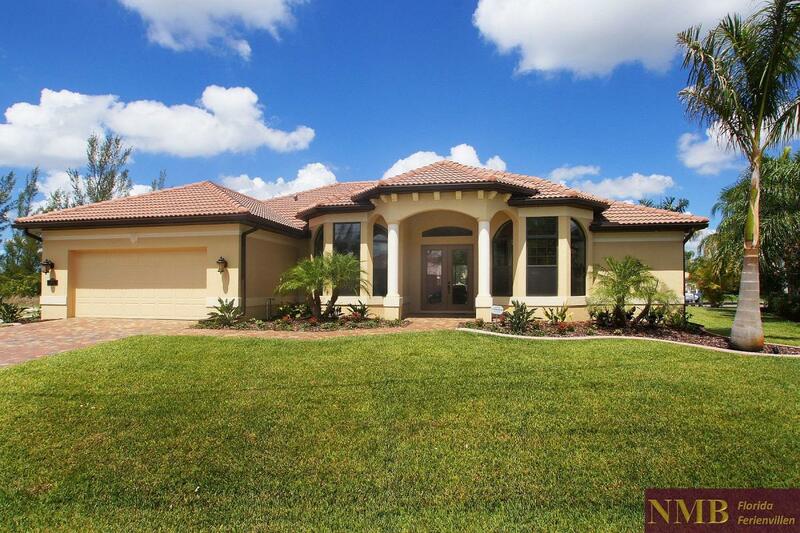 The villas and holiday homes in Cape Coral are in high demand - so book quickly. 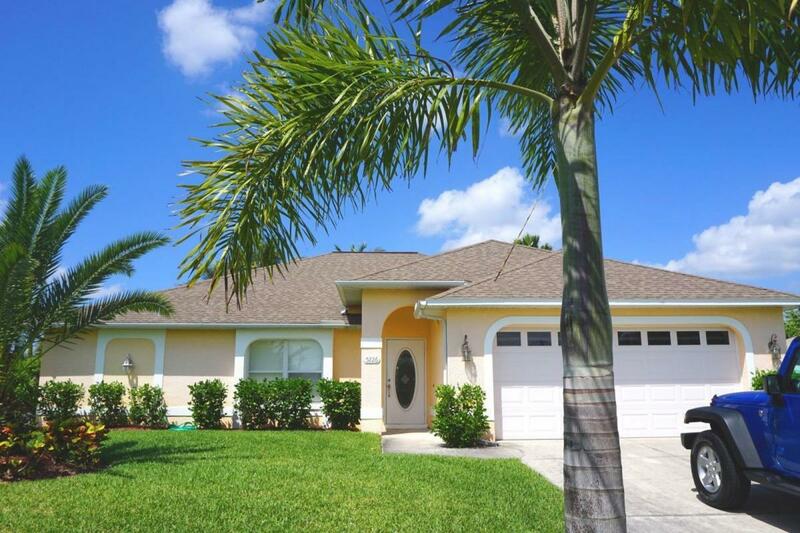 Please contact us for your individual offer and book your vacation pool home in Cape Coral, Florida. The City of Cape Coral, which was founded in the 1950's has a lot to offer! Cape Coral is the perfect destination to enjoy life to the fullest. 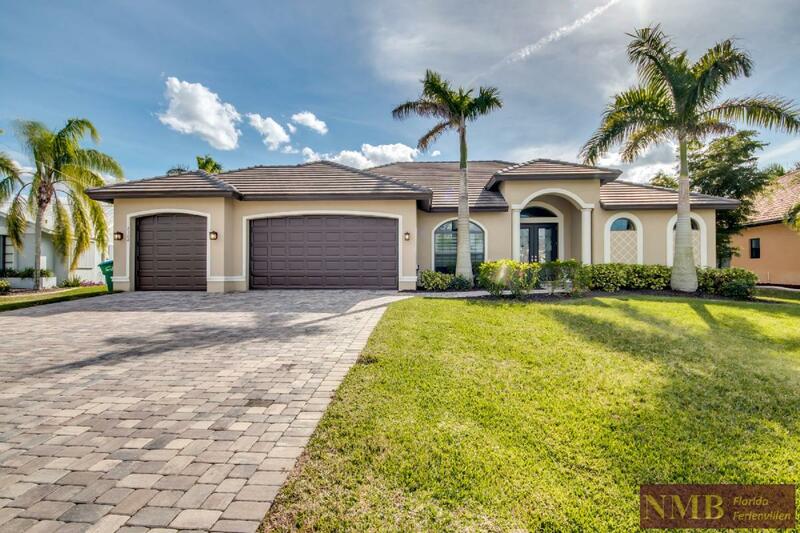 Cape Coral is growing as one of the most popular vacation spots in Florida and especially for our northern "snowbirds" who want to escape the cold winter months and spend an unforgettable vacation with their loved ones. Start your day trips conveniently from your vacation home and experience Fort Myers downtown, Sanibel Island or even Naples. Sunny weather during the day and warm temperatures at night allow endless hours on your private patio enjoying family and friends' company. 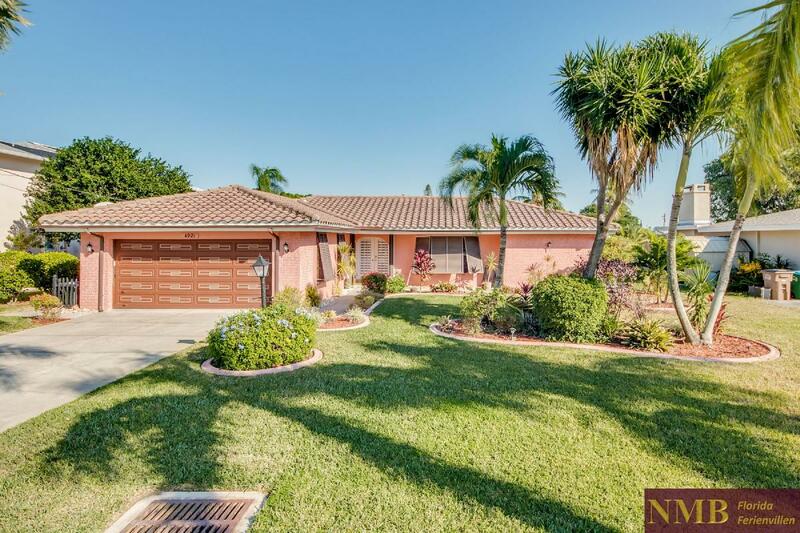 Cape Coral is the perfect location to relax and offers a lot of recreational activities such as golf, tennis, boating, fishing and much more. Nature lovers will be impressed by the wildlife on Sanibel and Captiva Island or a sunset Kayak Tour in Matlacha. Shopping divas can lose themselves in countless stores, malls, and boutiques throughout Lee County.